If you are one of the millions of American women who love shoes, you are not alone. One study found that one in eight American women own more than 50 pairs of shoes, and 43 percent of women own between 20 and 49 pairs, according to the Huffington Post. If you fall into one of these categories, but you don’t want to quell your shoe love just because you need to stay on budget, there are some ways to be a smarter shoe shopper. 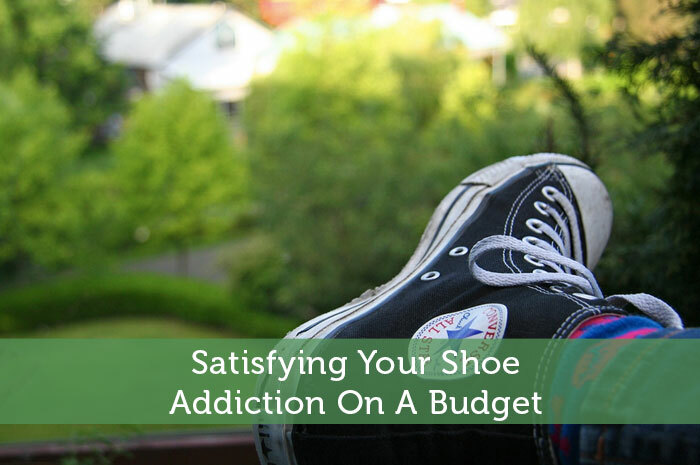 Being on a budget doesn’t have to mean cutting back on your shoe addiction. Shoes are a big business in the United States, and Americans spend $20 billion per year on footwear, according to StatisticBrain. If you feel like you are a major contributor to that number, but you want to contribute a little less, you need to get familiar with coupons. Online coupons are a huge business now and you can take advantage of that to get big savings when you are shopping for shoes. The first step is to find a great coupon-gathering website online. These websites gather coupon codes and online deals from many different websites and then post them in an organized fashion that makes it easy for you to find coupons by store and to find coupons that haven’t yet expired. If, for example, you know you are going to buy a pair of shoes from the online DSW store, you can go to your favorite coupon-gathering site, type DSW in the search bar, and instantly view all the coupons that are currently available for DSW. Keep an eye out for the most valuable types of coupons, which are dollar amounts off any purchase, offer free shipping, and shave percentages off your purchase. In 2013, it was estimated that 102.5 million people, which accounts for over half of American adults who use the Internet, would use a digital coupon, according to eMarketer. Be part of this great money-saving trend and watch your savings, and your shoe closet, grow. Once you know how to use online coupons, you are set to start shopping, but don’t shop at just any online shoe store. While you can find promo codes and coupons for department stores or other shoe sites, there are some heavyweights in the online and in-store shoe shopping department, such as DSW. DSW stands for Designer Shoe Warehouse, but it might as well stand for Discount Shoe Warehouse considering how low the prices for shoes at this store can be. DSW has physical stores, and you’re lucky if there is one near you because you can not only go in and try on shoes for fit, comfort and style, but you can also return online purchases to the store to save money and time. And you can use DSW coupons in the store, as well as online. Plus, DSW has online reviews of their shoes, which is a great way to know how they fit or what they look like, and DSW has an in-store locator, so if there is a store near you, you can check to see if they carry the pair you want in your size. Another perk of DSW is that it is a rare gem in the promotion code world in that it allows you to stack coupons. Stacking coupons means that you are able to use more than one promotion code on a single transaction. DSW actually allows you to use up to four coupons in a single purchase. For example, say you find a pair of shoes you love from DSW and that pair is normally $100, but the DSW discounted price is already $79.95. If you have a promo code for free shipping, you save the shipping cost with your first promo code. Then you can use a $5 off-any-purchase code and now your total is $74.95 before tax. Next, you check your coupon-gathering site and find a coupon code for $10 off. Now your total is $64.95. Since you’re a loyal DSW customer, you have a reward coupon from your previous purchases that gives you $10 off your next purchase. This means you have found a $100 pair of shoes for $54.95. Depending on your rewards status with DSW, you may have to have a $35 minimum purchase to use the free-shipping code, so be aware of that. Maybe you could even use it as an excuse to buy a second pair of discounted shoes. Americans spend a lot of money each year on shoes, and they’re spending more and more of it online. The revenue from online shoe sales was estimated to be $7.8 billion in 2012, which would have been a 16.3 percent increase from the previous year, according to PRWeb. Be a part of this great boom in online shoe sales and shop sites like DSW to get your fair share of lovely shoes keep your shoe addiction satisfied and still stay within your budget. Dee I don’t know you very well, but I have a tough time believing that’s it for the year. My fiance said the same thing early last year and I think it ended up being 4 pairs. I never though of myself as a shoe aficionado but I just counted the number of pair I have. 28! Of course many of them are hold overs from when I was still working. But I only wear 4-5 routinely. Some are still in the box, never worn, awaiting a wedding or funeral where I wouldn’t wear flip flops or moccasins. But 28 pair…..sheesh! I would have never believed it. Wow 28 is an impressive collection. As a guy I never quite understood buying a pair and leaving it in the box. If I buy shoes it’s sure to get some use right away otherwise I wouldn’t be buying it. Well, as I said, some are for the obligatory funeral or wedding so I keep them in the box just to keep them good. Plus, I have a small closet and it stays neater that way. lol I’ll have to make sure my fiance has some money put aside for that purpose when we have kids. I love shoes! But I just have few pairs of shoes here. Well I just trying to save money, because I just wear them very often. Almost all the time I stayed at home. I used to work at a shoe store, and even though that was over five years ago, I still have an excess of shoes. The problem with shoes is that they don’t sell as well second hand as some clothing items! There are some great discount shoe stores that sell great brands, too.